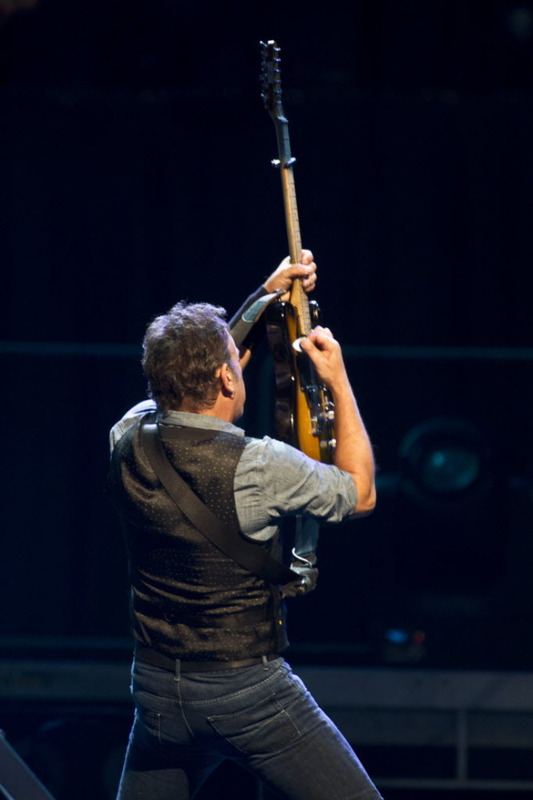 • Springsteen has never been more crowd-friendly in the Twin Cities, in terms of how much time he spent out in the audience (performing on platforms and runways) and slapping hands with fans. • This show felt very different from the two I saw in Chicago’s Wrigley Field in September – and not just because special guests Tom Morello and Eddie Vedder weren’t here. 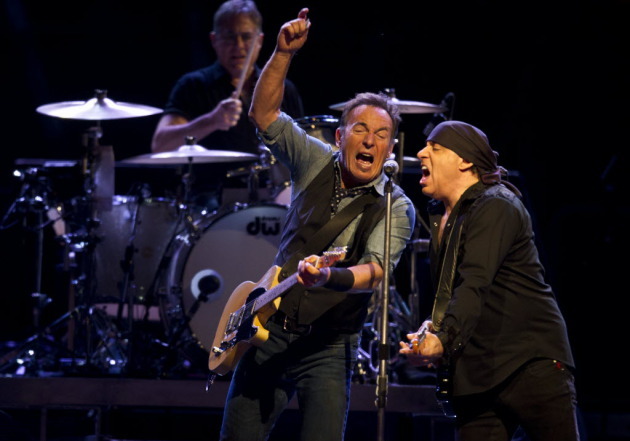 In Chicago, the newly expanded E Street Band seemed to invigorate the Boss more. New saxophonist Jake Clemons (Clarence’s 24-year-old nephew) brought a youthful swagger that sparked the Boss. On Sunday in St. Paul, Clemons and all the other new faces seemed settled into their roles and this show was more about the Boss. • Clemons arrives at the right time because, frankly, Clarence, due to various health issues, had lost the imposing and essential physicality of his presence on the previous couple of tours. As with drummer Jay Weinberg sitting in during the 2009 St. Paul show, the new kid added some freshness. Plus, the Boss smartly hired five horn players (including saxophonist Ed Manion) to take some pressure off of Jake. No one can – or should try to – replace Clarence. • Steve Van Zandt seemed more prominent in Sunday’s show than other recent gigs. Part of that had to do with the requested songs, especially when the Boss needed help making it through “Saving Up,” an obscurity written for Clarence Clemons’ first solo album that only hard-core fans would know. It was almost stump the band. • While the nine new members of the E Street Band have compelled Springsteen to reinvent himself, some of the songs felt too thick as if the old wall of sound has become a Nor’easter of sound. • It was a much needed change of pace when the Boss did a solo acoustic version of “If I Should Fall Behind” that two fans requested because it was their wedding song. Maybe Springsteen should let some of the players take a break on a few other selections, as well. • Compared to Chicago, the message of the six selections from “Wrecking Ball” didn’t resonate as profoundly in St. Paul. As my review indicated, the lasting impression of the Xcel show was on the old favorites. Springsteen returns Monday night to the X, for his 10th Twin Cities performance in 12 years. Tickets are still available.